The Anambra state police command have reportedly arrested the woman pictured on the left for allegedly kidnapping the two children whose picture appears on the right from their home in Makurdi, Benue state. 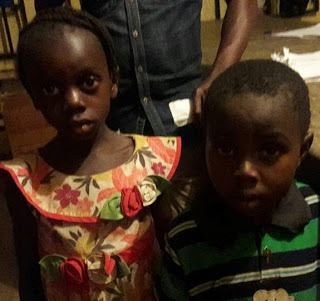 According to Facebook user, James Ornguga who posted the photos online, the little boy and girl were kidnapped from Makurdi, Anambra state by the woman. 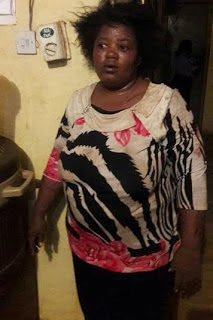 She was apprehended in Aliade on their way to Onitsha. During interrogation, the kidnapped children gave their father's name as Sarwuan Zaki of Gbonko Church, around Modern Market, Makurdi. The two kids and their abductor are in police custody in Aliade right now. Anyone who knows them or their parents should reach out to the Aliade Police Station.